The citycruiser bag is the perfect companion for all those who want to comfortably transport their purchases. In combination with the citycruiser rack the practical bag can be pulled like a trolley suitcase, so that the annoying carrying of shopping bags from now on belongs to the past. The citycruiser bag offers many storage options, which ensure a tidy organization of the objects to be transported. There is a main compartment, in which heavy, sturdy purchases can be packed. The upper compartment, however, can be equipped with light and sensitive purchases - such as fruit or vegetables, which otherwise easily get dents. 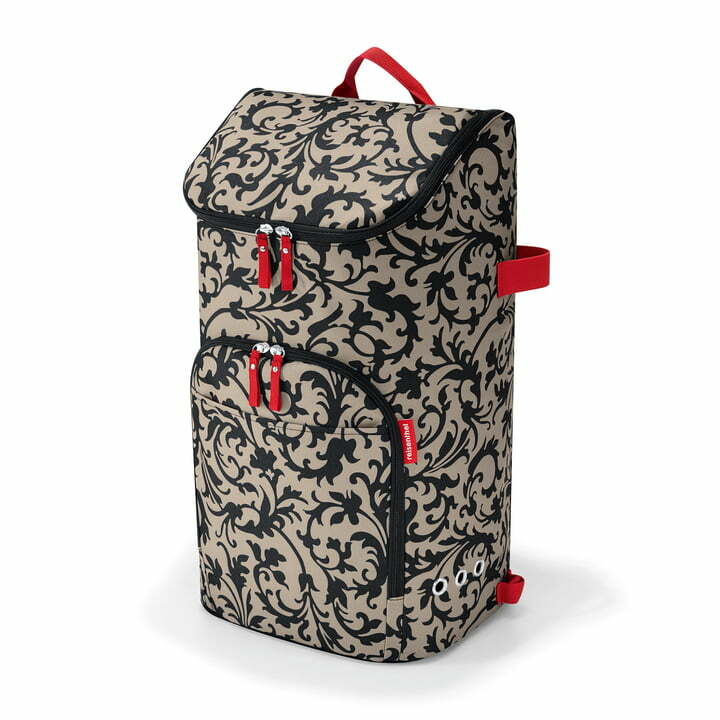 Side pockets, as well as further internal pockets which can be zipped, offer additional storage space for small items of all kinds. Another handy feature is the side-mounted umbrella holder, to be prepared for all weather conditions. The purchase won't get wet anyway, because the bag is made of a high-quality polyester fabric that has a water repellent property. But if the citycruiser bag is be used in the traditional way, a removable shoulder strap is supplied so that the bag can be worn classicly over the shoulder. The citycruiser bag is available in different colours. Individual image of the reisenthel - citycruiser bag shopping trolley. Purchases of all kinds can be stored practically in many different compartments. Individual image of the reisenthel - citycruiser bag and citycruiser rack. In combination with the rack, the citycruiser bag can be pulled like a trolley. 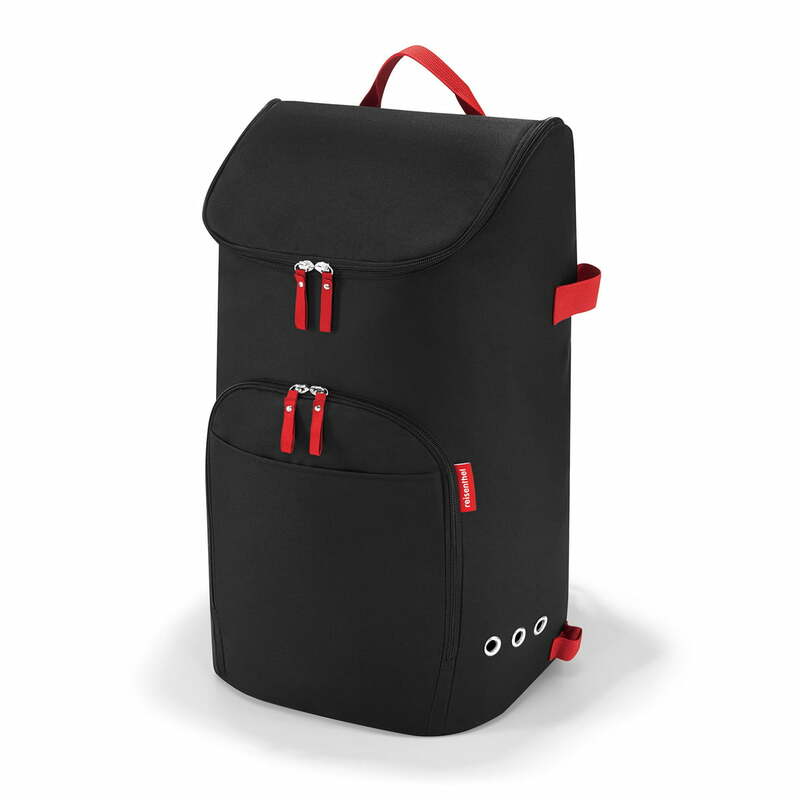 Individual image of the reisenthel - citycruiser bag and citycruiser rack. Purchases can be transported very comfortably with the practical shopping trolley.